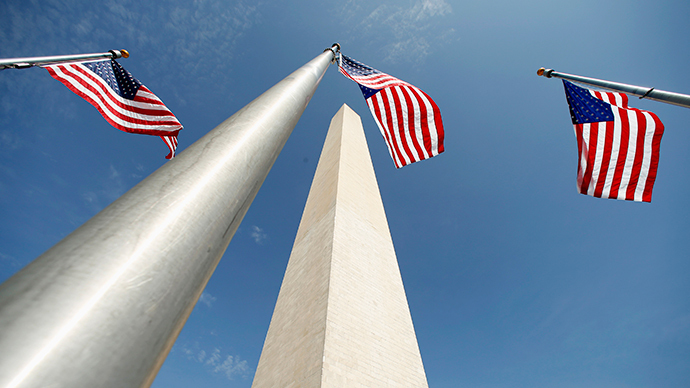 American history experts, take note: A new architectural survey of the Washington Monument has determined that the iconic obelisk is actually nearly 10 inches shorter than earlier measurements have indicated. However, weathering isn’t to blame for any loss of height, and neither is the 2011 earthquake that forced the Washington, DC landmark to close its doors to tourists for years while repairs were being made. Rather, it’s the requirements for taking measurements in compliance with rules established by an international standards group that has suddenly reclassified the Washington Monument as being slightly shorter than what has long been reported. According to the Council Tall Buildings and Urban Habitat – the global organization that has the official say when it comes to the world’s skyscrapers and other structures – an official measurement of the Washington Monument’s height must take into account the distance from the floor of the main entrance to the top of the tower. On Monday, the National Geodetic Survey and the National Park Service said that new measurements indicate the monument is 554 feet and seven and 11/32 inches, as per the CTBUH’s standards – or nearly 10 inches shorter than the 555 feet and five and one eighths of an inch measurement that has appeared in almanacs and record books since the late nineteenth century. Up until now, historians and tour guides have relied on a measurement taken by Lt. Col. Thomas Casey in 1884 to describe the structure. At the time, the monument was the tallest structure in the world – at least until the Eiffel Tower was erected five years later. “The building didn't change height because of anything; it is just where you start from,” Dru Smith, chief geodesist with the National Geodetic Survey, told the Associated Press this week. Per the CTBUH standards, the monument must be measured from the “lowest, significant, open-air, pedestrian entrance” to the structure’s peak. Not everyone is embracing the new information, though. “For our purposes we'll still use the historic height rather than the architectural height, since they're measured from different places,” National Park Service spokeswoman Jenny Anzelmo-Sarles told the AP.